The precious sophisticated Lesy collections are the result of painstaking work by the Florentine dressmakers in the Lesy workshop, combines soft tulles with wonderful quilted fabrics with gold weaves or magical embroidery that showcases the wonder of design. Everything takes on a precious glow in this procession of haute couture dresses. 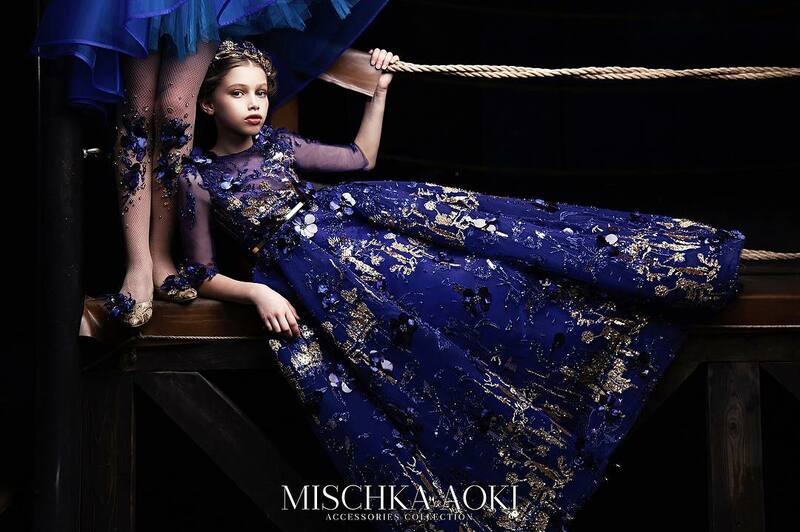 The range includes the “ballet” dance dress, a “crowns” line, and the princess-like “gold feathers”. A collection set in the splendid rooms of one of Florence’s most stunning noble residences on the banks of the River Arno. An enchanted dream between the brocade walls, surrounded by splendid gold stucco work and crystal chandeliers. A dance created from unmistakable, elegant styles....All-Italian magic by Lesy. 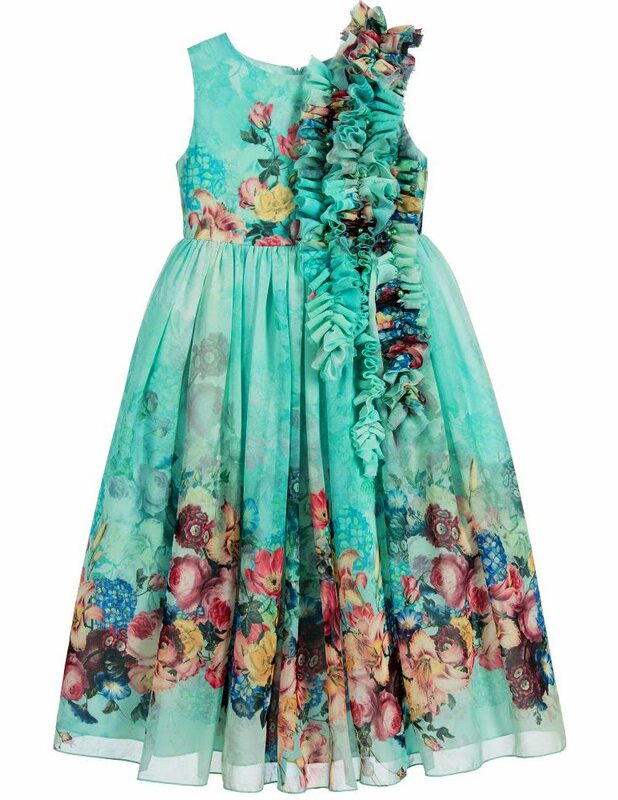 Girls gorgeous green floral print dress from Lesy, made in luxuriously soft chiffon. 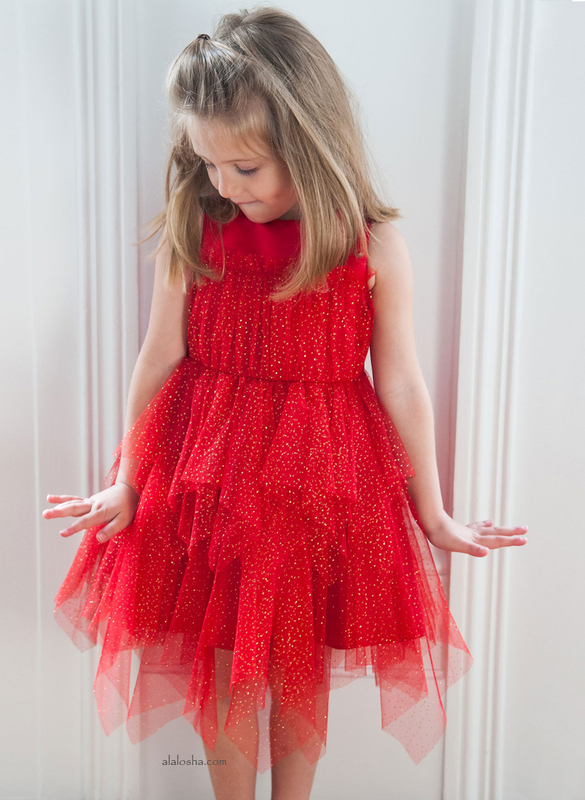 This ballerina-length dress is beautifully decorated with pearl bead embellished ruffles, and is fully lined in a lightweight cotton blend. 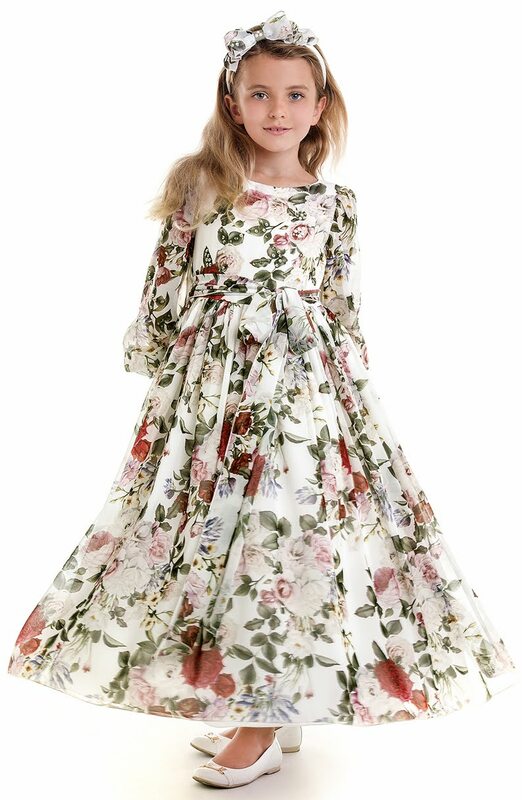 This elegant design, from Lesy, has a floral chiffon overlay, with a beautiful summer bloom print, embroidered with sequins and a scattering of small beads on the bodice. The sleeves are long and sheer, with elasticated cuffs and the pleated skirt is full length. A waist sash ties in a bow at the side. There is a satin lining and underskirt, with a concealed zip at the back.